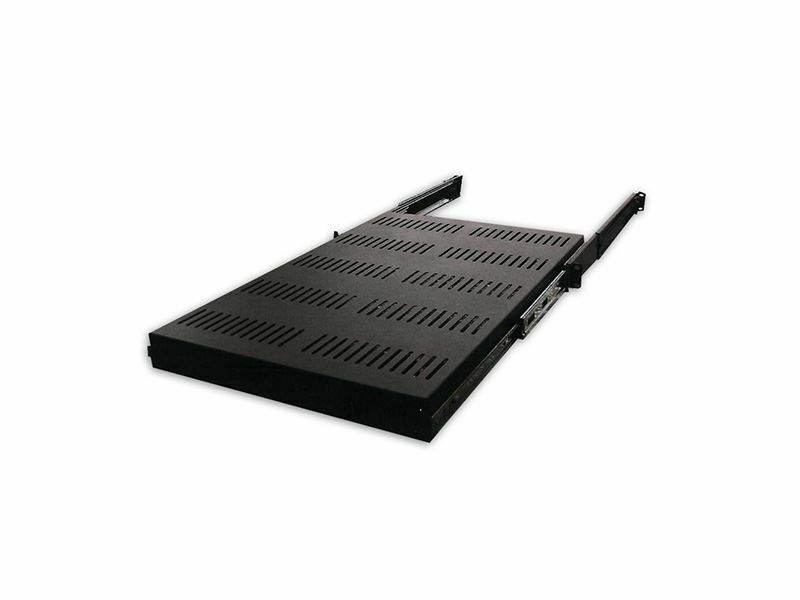 This Heavy Duty Slide-Out Shelf is constructed for use in our deeper series 430, 730 and 740 enclosures. Designed with a 4 point mounting system it has a load capacity of up to 150lbs, and has a slide-out feature which extends out to 37". It comes complete with a set of #12-24 mounting screws and has a black powdercoat microfinish to match rack and enclosure color.